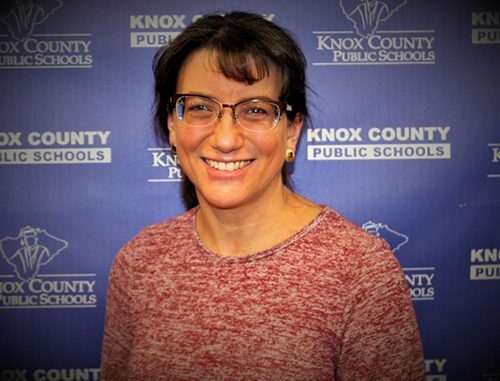 With the number of educational apps and devices continuing to increase in Knox County Public Schools, new technology integration specialist Jennifer Mills will be in classrooms to help teachers find the balance between using technology and effective teaching strategies. Working cooperatively with teachers, Mills hopes that she can help her colleagues find a balance. “I understand the daily challenges and the time constraints classroom teachers face,” explained Mills. 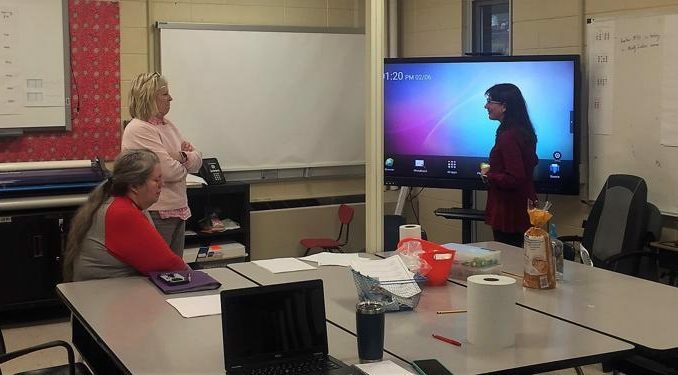 She gave credit to the district for creating the position, citing the support teachers need for integrating technology into what they are already doing in the classroom. “I am really excited to have the opportunity to learn and share what I have learned with teachers to make their day to day life in the classroom easier and free up more time for focusing on instruction,” said Mills. Q: Coming from the classroom, what technology tools did you find effective while teaching at the middle school? A: I enjoyed using a variety of student interactive games such as Kahoot and Quizlet. Gradecam is invaluable for data tracking not just in unit assessments, but in everyday activities to monitor student understanding. I am a fan of Flocabulary and Kahn Academy as well. I am excited to have the opportunity to work with Google and how it can be used to create collaborative learning with students and teachers. Q: As you get started in this new role, what are some of the first steps you are going to take to help teachers? A: I will work with teachers on three aspects of technology development in the classroom. The first is professional development. The district has invested a great deal into new technology such as interactive flat panels and there is a need for training in using them. The second focus is to assist teachers in developing proficiency with Google tools. The third focus will be to develop a Student Leadership in Technology Program in each school where students develop leadership and technology skills through project-based learning. Q: For the technology “newbie”, whether it be a teacher or a student, what advice you would give them? A: The difficult part of dealing with technology is that it forces all of us to push new boundaries past our comfort zone. Every one of us faces different challenges. Being comfortable with technology is like any other challenge…take it in small steps, master each task along the way and ultimately, you can achieve your goals. Q: What is your long-term vision for technology integration in the Knox County Public Schools? A: Technology is not a substitute for instruction. My vision for technology in the classroom is to help our district find a balance between technology, direct instruction, and cooperative learning. As an educator, I want to help make the love of learning something our students pursue into adulthood. Q: How can teachers contact you and when will they see you in their school? 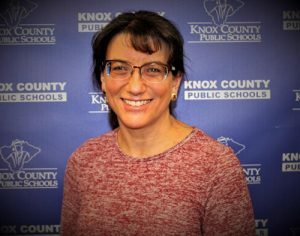 A: The best way to reach me, for now, is through email at jennifer.mills1@knox.kyschools.us. I have recently started visiting each school to meet teachers at their PLCs. I hope we can create a professional community district-wide where all teachers can collaborate to solve technical questions and share any ideas or discoveries that will positively impact student learning.